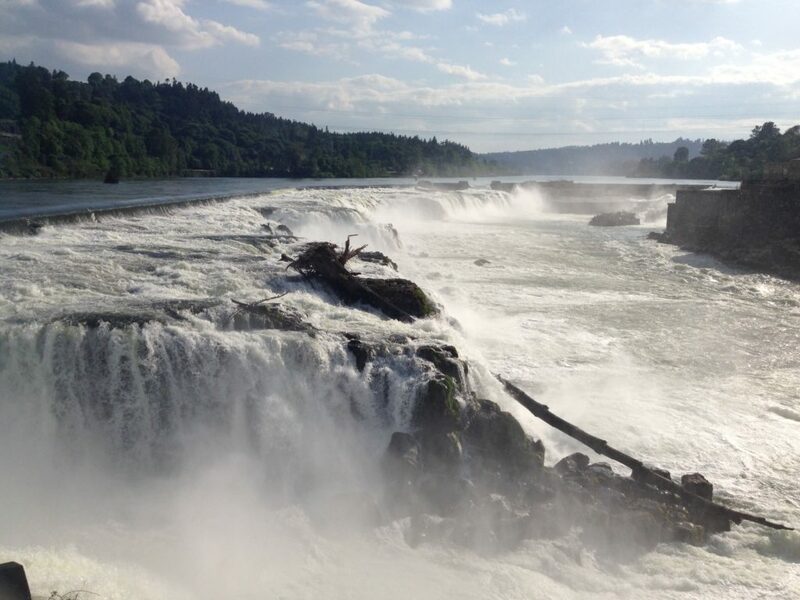 The riverwalk will welcome people from all walks of life to experience the power and beauty of Willamette Falls. 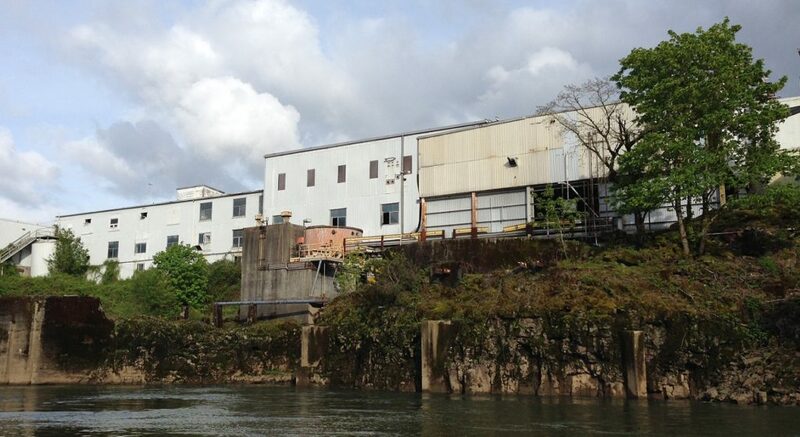 A new riverwalk that connects historic downtown Oregon City to Willamette Falls is the first step of the Willamette Falls Legacy Project. 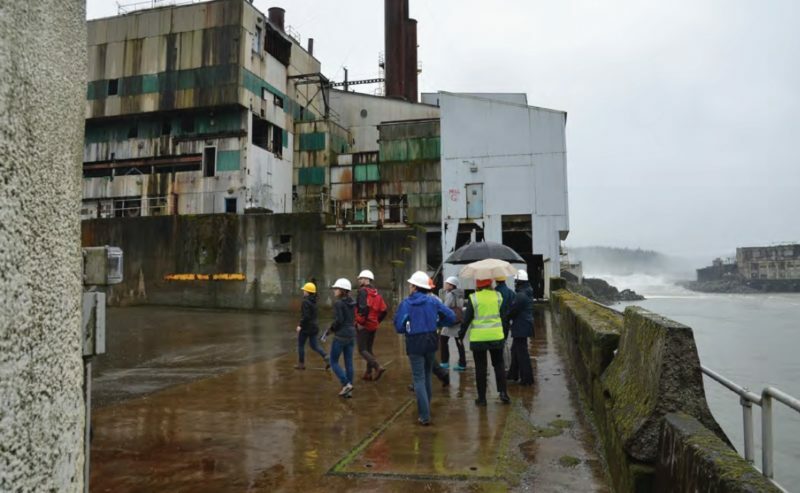 For the first time in more than 150 years, visitors will be welcome to get up close and experience Willamette Falls along the Willamette River from a world-class public space. 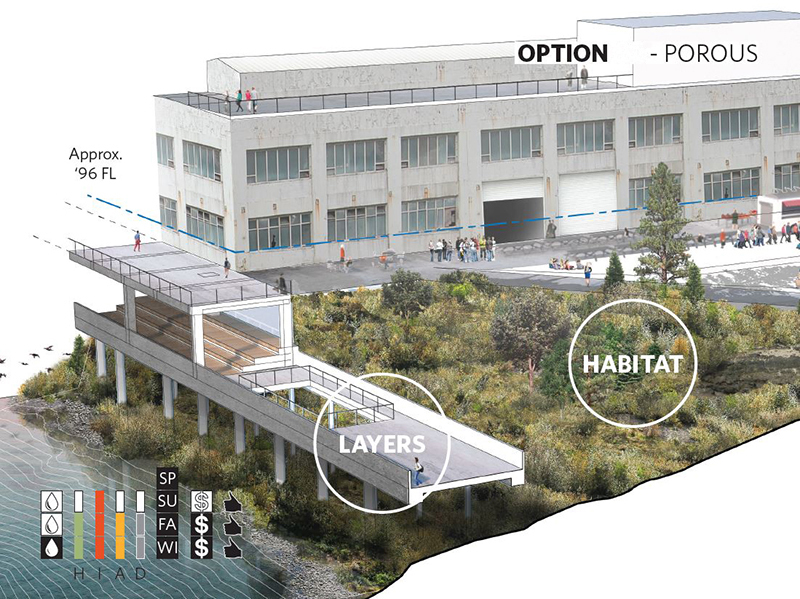 By building the riverwalk, the project partners are transforming this abandoned industrial site into a community gathering space and a compelling opportunity for redevelopment. 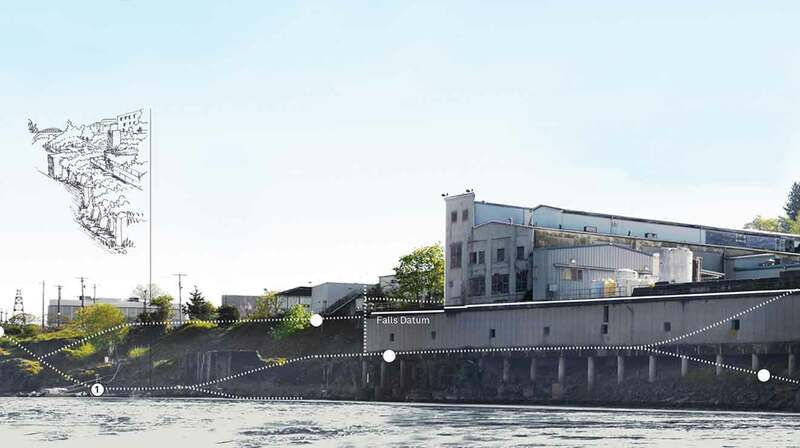 The design team of Snøhetta, Mayer/Reed and DIALOG was selected by the project partners, Oregon City, Metro, Clackamas County and the State of Oregon, to lead the process. PROGRAMMING PLAN Programming ensures a complete visitor experience and will keep the riverwalk active and lively. 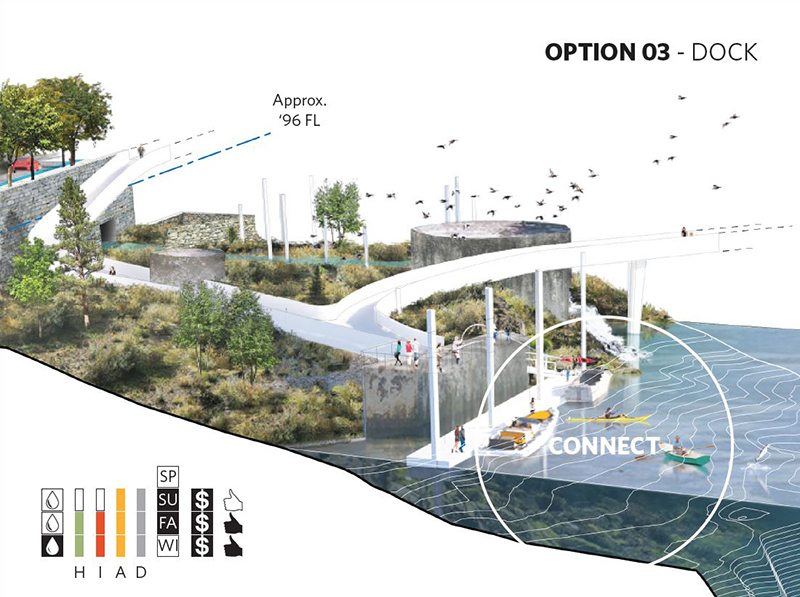 The programming plan will identify opportunities to “activate” the site’s public spaces in ways that create a unique visitor experience and encourage healthy economic development and investment in the area. 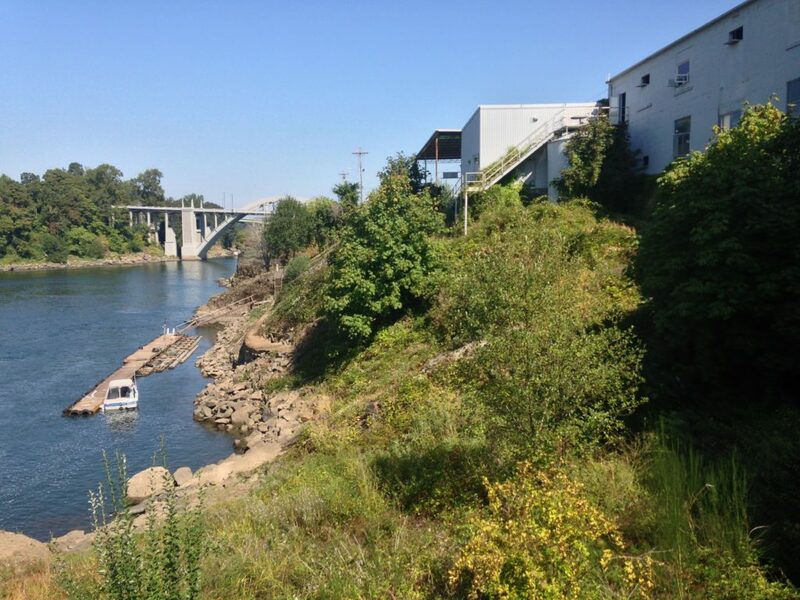 INTERPRETIVE FRAMEWORK Interpretive opportunities planning will identify how and where the site’s history and culture can be highlighted on the riverwalk and surrounding area. This could include artwork, digital storytelling, programming, and interim access during construction. PHASING PLAN The phasing plan will allow the riverwalk to be built over time as funds become available. PARKING AND TRANSPORTATION PLAN This plan will ensure that visitors to the area can access the site and that the impacts of traffic and parking to the surrounding commercial and residential areas will be mitigated where possible. Programs could include: increased transit access, shuttles, expansion of permit parking areas, use of nearby private commercial parking during non-business hours, increased signage, construction of structured parking and incorporation of other best practices and actionable steps through an adopted and community supported plan. 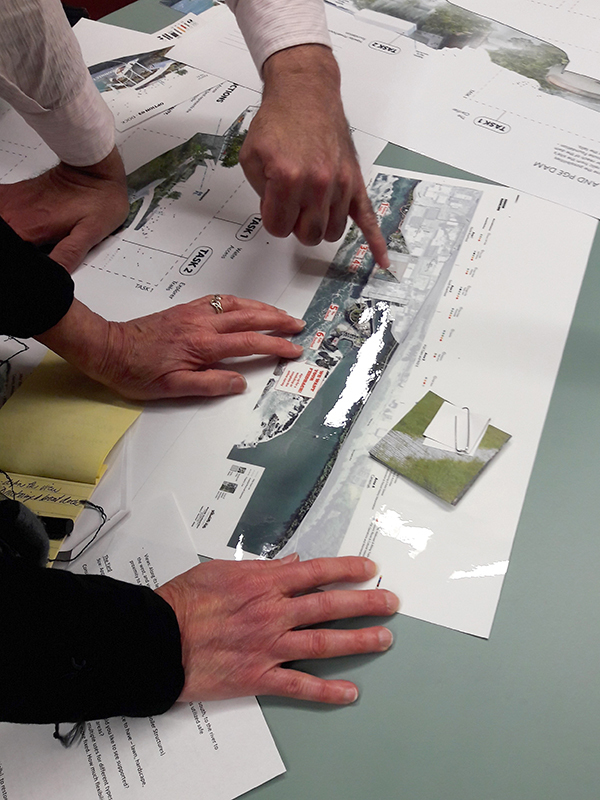 The riverwalk concept was first identified in the community visioning process which began in 2013. 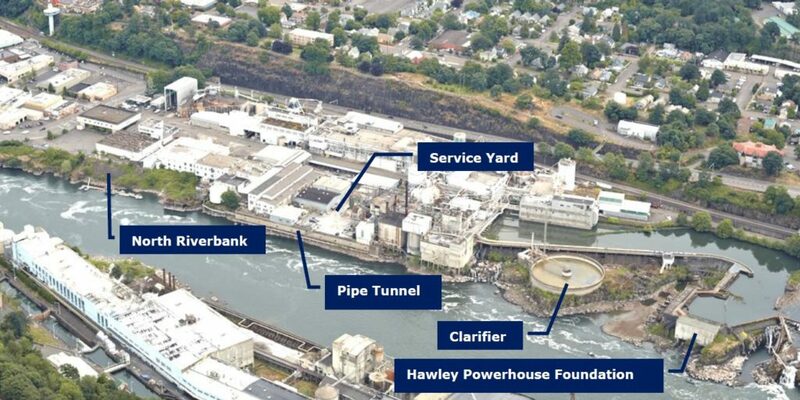 Thousands of Oregonians gave their input into this project, providing comments and insight into the project’s values and scope. This project has been successful to date because it has been grounded and supported by passionate people who care about this amazing place. 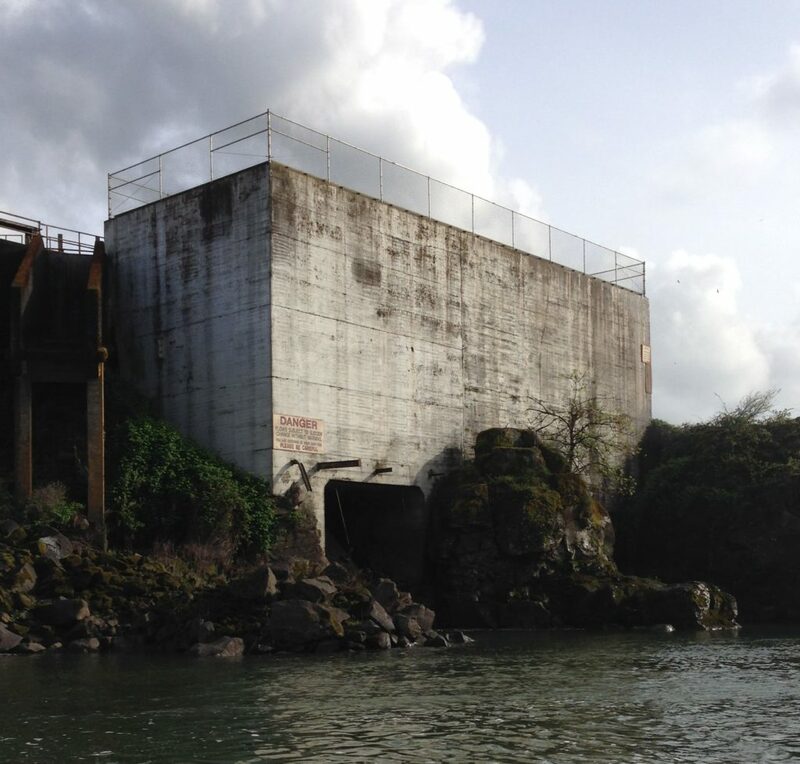 Our success in creating a new Oregon landmark depends greatly on our ability to capture what is special about Willamette Falls for all the people who have lived, worked, fished, celebrated, paddled, and dreamed there across many generations. 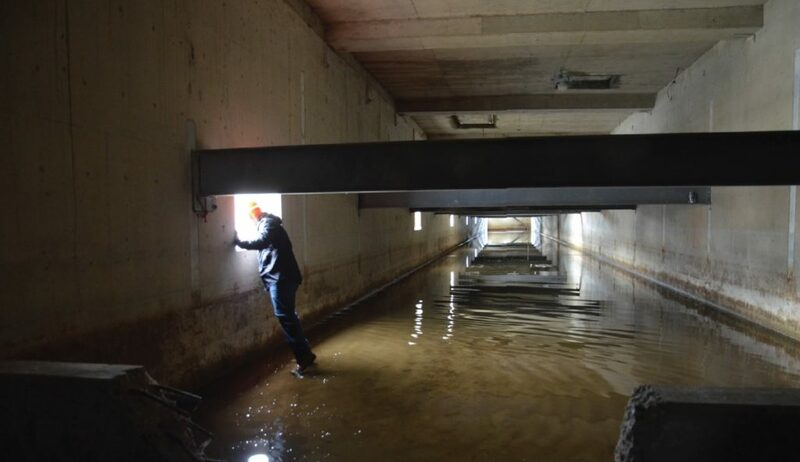 You can begin plugging into this project today. 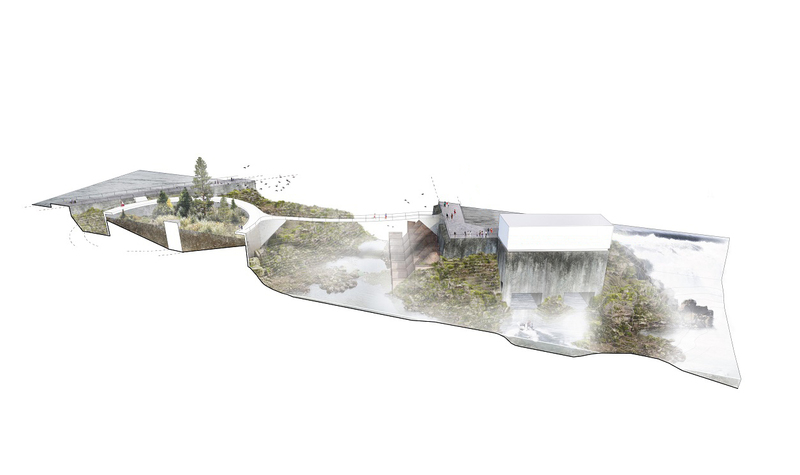 We need to ensure that your knowledge and passion for this place is embedded in the final design. 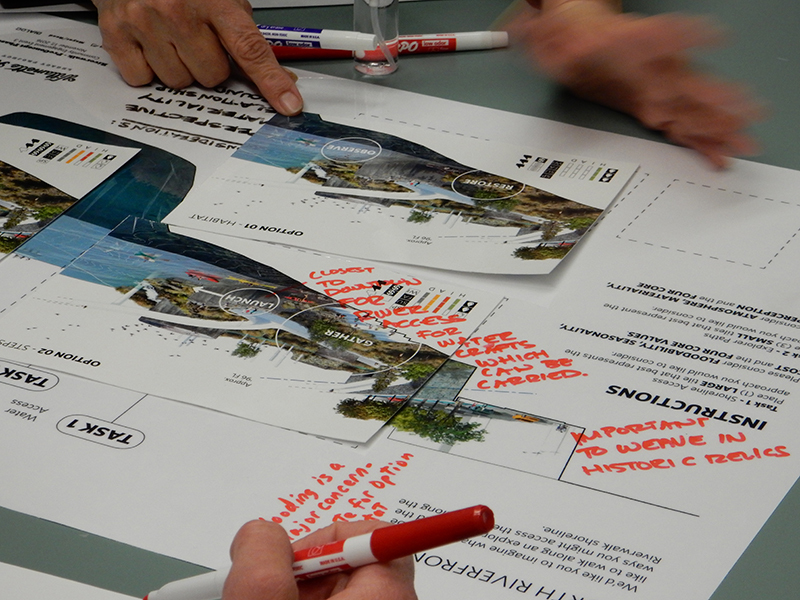 There will be many opportunities to be involved with the design process as we move forward. Stay tuned and stick with us to help make this project a reality.